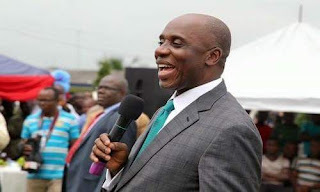 ROTIMI Amaechi, Transportation Minister, has revealed why Sokoto State Governor, Aminu Tambuwal, will dump the All Progressive Congress, (APC). Mr Amaechi and the governor where among bigwigs of the then ruling party, Peoples Democratic Party (PDP), who left to the APC prior to 2015 general election. Tambuwal who was then Speaker of the House of Representatives contested for the state’s governorship and won on the platform of the party. The Minister who said the federal government was aware of the governor’s plan of defecting from the party hinted that Tambuwal is nursing a presidential ambition hence his decision to leave the APC. He stated this on Friday while addressing reporters after the inspection of Itakpe-Ajaokuta-Warri project in Delta State. Amaechi also mentioned the governor of Kwara State, Abdulfatah Ahmed, as one of those already known to be planning their exit from APC. Ahmed had on recently hinted of his intention to decamp. “No matter what you do, the governor of Sokoto will leave naturally because he had the ambition of being the president in 2019 and even if you take a chicken to him he will still leave. It is same with Kwara,” the former governor of Rivers State said. “These are people you expect they will leave. They left with members of the National Assembly but they came from the areas that the President is very comfortable. Do you honestly believe that the President will lose election in Sokoto? It is one of his comfort zones,” Amaechi said. He said no matter who leaves the ruling party at the end of the day, President Muhammad Buhari will still win.